Modi will be produced before Judge Emma Arbuthnot, Chief Magistrate of Westminster Court on March 29. She is also looking into the extradition case of Vijay Mallya. Nirav Modi will remain in police custody till March 29. 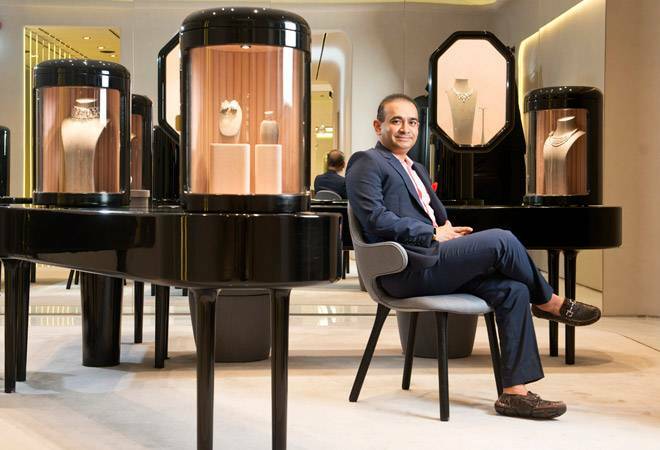 The bail plea by Nirav Modi has been denied by the Westminster Magistrates' Court today. Modi was arrested by UK authorities on Tuesday and produced before the court today to be formally charged. With the court refusing bail, Modi will have to remain in police custody till March 29, the next date for hearing in the case. He will be lodged at the Wandsworth Prison. Modi will be produced before Judge Emma Arbuthnot, Chief Magistrate of Westminster Court. She is also looking into the extradition case of Vijay Mallya. Contesting his bail plea, the counsel for Nirav Modi argued that he is an employee of a London-based diamond company. He said that Modi withdraws a salary of 20,000 pounds and pays his taxes to the UK government. Modi also told the court he has a child to look after who goes to school in London. The Crown Prosecution Service, arguing on behalf of Indian agencies, told the Westminster Court that Nirav Modi is a high-value asset. The court was informed of how he had travelled to eight countries even after his passport was revoked by India. ALSO READ:Nirav Modi arrested: What's the legal process ahead for extradition? After hearing both ends of the argument, the court rejected the bail plea on the ground that Modi is a 'flight risk' with a lot of money, and may try to flee the country if granted bail. This means that he will be custody of UK authorities until the next hearing in his case. The next hearing has been scheduled for March 29. Meanwhile, the Indian agencies are keeping a close eye on the developments. The CBI and ED officials are in direct communication with the Crown Prosecution Service and will share additional evidence to strengthen the case against Nirav Modi, India Today reported. A team of CBI and ED officials is likely to be sent to London for better communication with the CPS and better coordination with the UK authorities. Earlier this month, an arrest warrant was issued against Nirav Modi after UK home Secretary Sajid Wajid cleared extradition request of India investigating agencies probing the PNB scam. Following this, the Metropolitan Police, London had arrested Modi from the Metro Bank in Holborn after a bank employee recognised him. "Nirav Deepak Modi - 48 (24.02.71) was arrested on behalf of the Indian Authorities this afternoon (Tuesday, 19 March) in Holborn," the Scotland Yard had said. In a related development, the special PMLA court in Mumbai allowed the ED to auction 11 luxury vehicles and owned by Nirav Modi. The special court also allowed the Income Tax Department to auction 68 paintings owned by the fugitive diamantaire with direction to hand over the proceeds to ED.